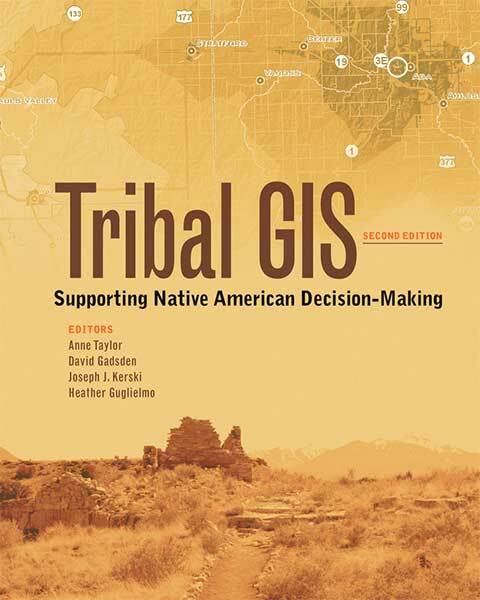 A new book from Esri, “Tribal GIS: Supporting Native American Decision-Making,” tells the stories of how Native American tribes use geographic information system (GIS) technology to help manage and govern their sovereign nations. According to Esri, the book, in its second edition, details how dozens of tribal governments have used GIS for a number of projects, including conserving and protecting the environment, monitoring and managing infrastructure and natural resources, preserving history and culture, studying health issues and planning how to use ancestral lands. Tribes have also used GIS to conduct road inventories, manage and protect archaeological sites, plan economic development projects, and analyze and visualize health data. “GIS has become a common platform for problem solving by helping tribes organize and analyze data, as well as collaborate and communicate on countless issues,” said Esri President Jack Dangermond in the book’s foreword. The book also contains a chapter on new applications of GIS, which describes how tribal governments are taking advantage of the latest geospatial technology, including Web GIS, 3D GIS, Esri Story Maps apps and ready-to-use field data collection apps. Most of the stories are told by the Chickasaw Nation, the Navajo Nation, the Confederated Tribes of Siletz Indians, the Seminole Tribe of Florida, the Agua Caliente Band of Cahuilla Indians and Fond du Lac Band of Lake Superior Chippewa.